Baseball = Mansfield @ Franklin – Postponed to 4/14 at 11:00. – Owen Palmieri and Jake Davis each scored four goals and Matt Lazzaro had a hat trick, as the Panthers stayed unbeaten after their biggest test of the season so far. Will Davis made 13 saves in goal and Jacob Alexander (two goals) dominated the face-off ‘X’, winning 20-of-24 and losing only one of the 14 face-offs in the first half. 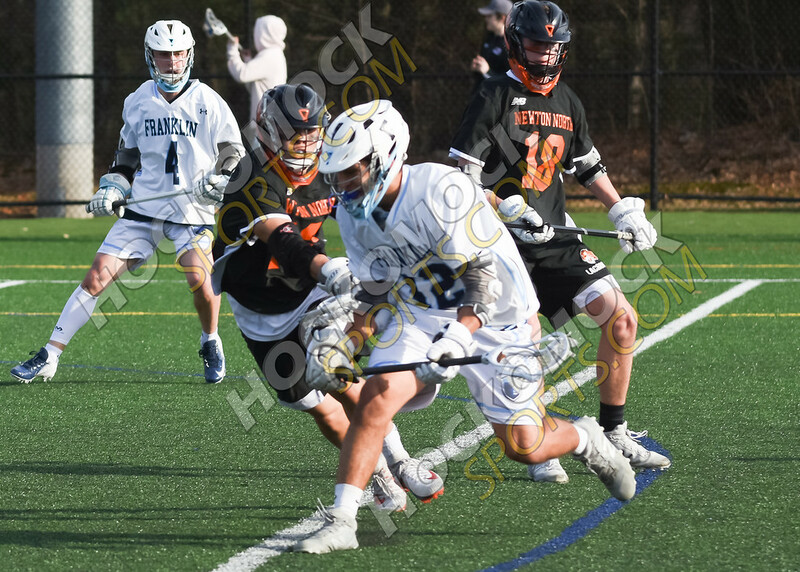 Newton North scored a minute into the second quarter to close the gap to 5-4 but the Panthers rolled off an 11-2 run and scored 12 goals over the final 30 minutes of the game. Ben Greco fed Ben Kolb for a man-up goal to make it 6-4 and eight seconds later Alexander found Lazzaro for another goal. Kolb picked out Nitin Chaudhury with a great diagonal feed to add another score before half. Palmieri made it 9-4 early in the second with a goal while practically lying on the ground and the Panthers answered a Newton North goal by scoring twice in 11 seconds, first on a behind-the-back shot from Lazzaro and then Alexander went bar-down after another face-off win. Jake Davis and Palmieri added goals before the end of the third, both assisted by Greco, and Franklin had pulled away to lead 14-6 by the end of the third.